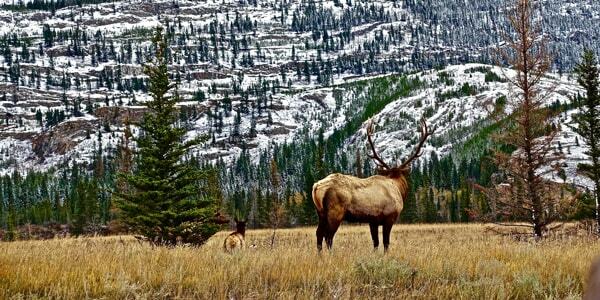 In 1984, four hunters from Troy, Montana, asked each other, "Can you imagine life without elk and elk hunting?" With the answer a resounding No!, they pooled their talents and resources and created the Rocky Mountain Elk Foundation in May of that year. Spiking camp in the back room of a trailer house in Troy, the four—a pastor, a realtor, a logger and a drive-in owner—created an organization that would directly benefit elk and other wildlife by putting money to work on the ground. 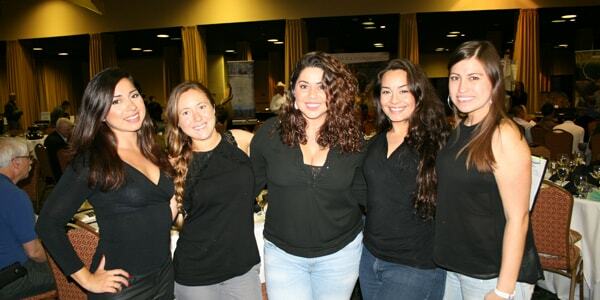 The team borrowed funds to mail out 43,000 brochures soliciting members, promising a subscription to an international magazine about elk and an annual international convention. They only got 233 responses. But they believed they’d made a commitment to these people. So they borrowed additional funds and printed 32,000 copies of the first edition of Bugle magazine, which they mailed out and distributed to grocery stores and gas stations throughout the West. It took time, hard work and patience, but by the end of 1984, membership had ballooned to almost 2,500. Once the elk train got rolling, it never stopped. In April 1985, we held our first convention in Spokane, Washington. We also funded our first project that year—a $450 grant to fund a graduate student’s research project on elk in the Northern Yellowstone herd. In 1988, we notched our first land acquisition—the 16,440-acre Robb Creek property in Montana—and received our first ringing endorsement from the corporate community. 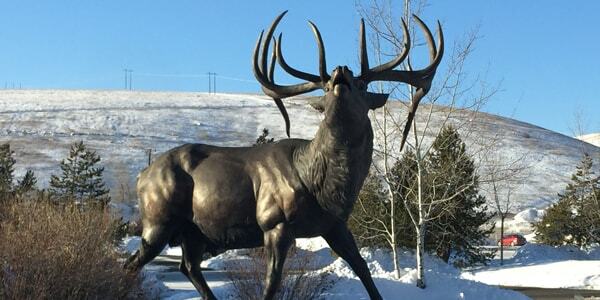 At the Salt Lake City Elk Camp that year, Ray Goff, former Elk Foundation board member and vice president of Anheuser-Busch, announced a $500,000 gift from the company. That gift helped kick off our incredible growth and conservation achievements. By 1988, our staff had grown to 12, and our offices were spread across a vacant dentist’s office, a mini mall and an abandoned grocery store. We now had 32,000 members, 2,000 passionate volunteers and 70 chapters, and we’d protected and enhanced more than 110,000 acres of elk country. Bursting at the seams, it was time to say goodbye to the foundation’s birthplace and move to Missoula, Montana. Since then, we’ve grown to over 150,000 members whose support has protected and enhanced millions of acres of North American wildlife habitat. Hundreds of thousands of these acres offered extremely limited public access or were completely off-limits to the public. They are now open for all to hunt, fish and otherwise enjoy. We employ more than 150 people and boast more than 10,000 volunteers working through 550 chapters across the United States. In 2005, we moved into a new international headquarters facility in Missoula, and opened our state-of-the-art Elk Country Visitor Center. What began more than 20 years ago as a "crazy" idea has become a shining star in the world of conservation and hunting.